Explores the ways in which fiction and autobiography have shaped each other. Autobiography is one of the most popular of written forms. From Casanova to Benjamin Franklin to the Kardashians, individuals throughout history have recorded their own lives and experiences. These personal writings are central to the work of literary critics, philosophers, historians and psychologists, who have found in autobiographies from across the centuries not only an understanding of the ways in which lives have been lived, but the most fundamental accounts of what it means to be a self in the world. 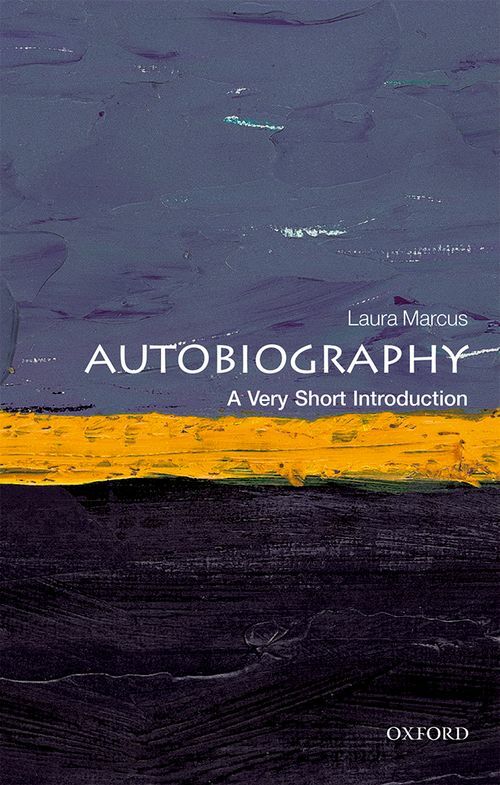 In this Very Short Introduction Laura Marcus defines what we mean by 'autobiography', and considers its relationship with similar literary forms such as memoirs, journals, letters, diaries, and essays. Analysing the core themes in autobiographical writing, such as confession, conversion and testimony; romanticism and the journeying self; Marcus discusses the autobiographical consciousness (and the roles played by time, memory and identity), and considers the relationship between psychoanalysis and autobiography. Exploring the themes of self-portraiture and performance, Marcus also discusses the ways in which fiction and autobiography have shaped each other. Laura Marcus is Goldsmiths' Professor of English Literature and Fellow of New College at Oxford. She is also a Fellow of the British Academy. Marcus has published widely on nineteenth and twentieth-century literature and culture, with books on autobiography, Virginia Woolf, modernist writing and literature and film. Her publications in the field of life-writing include Auto/biographical Discourses: Theory, Criticism, Practice (Manchester Univerity Press, 1994), and numerous essays on autobiography and biography.